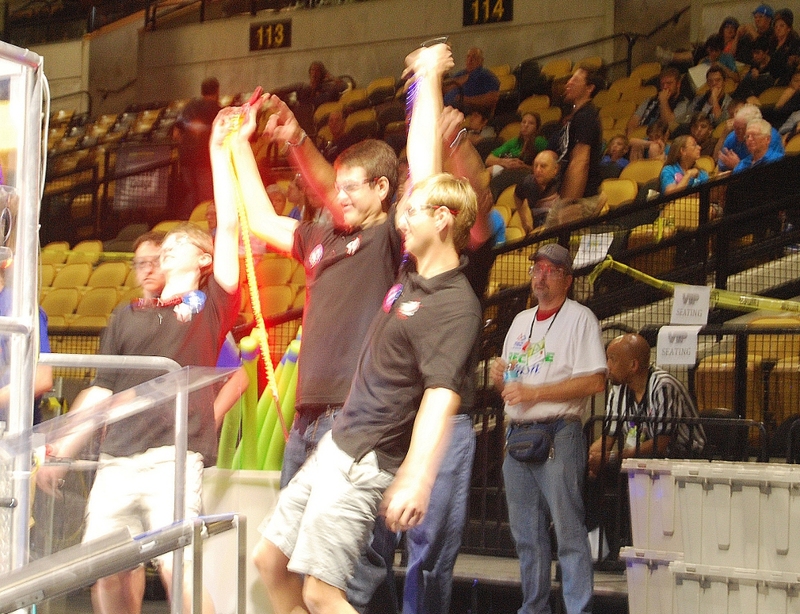 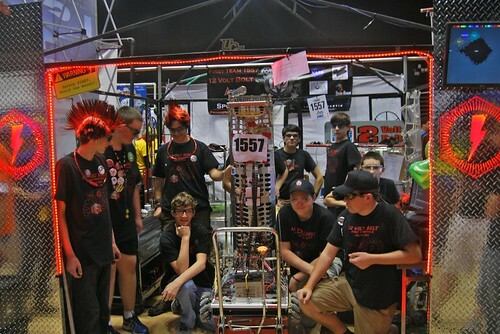 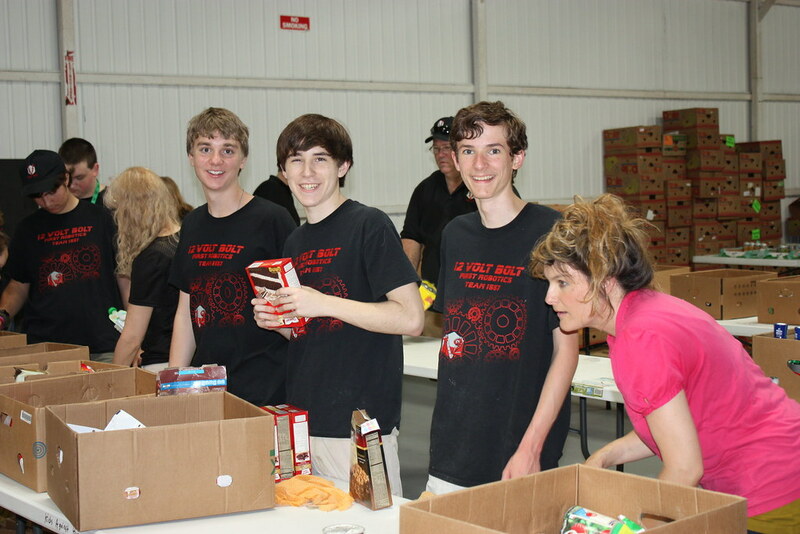 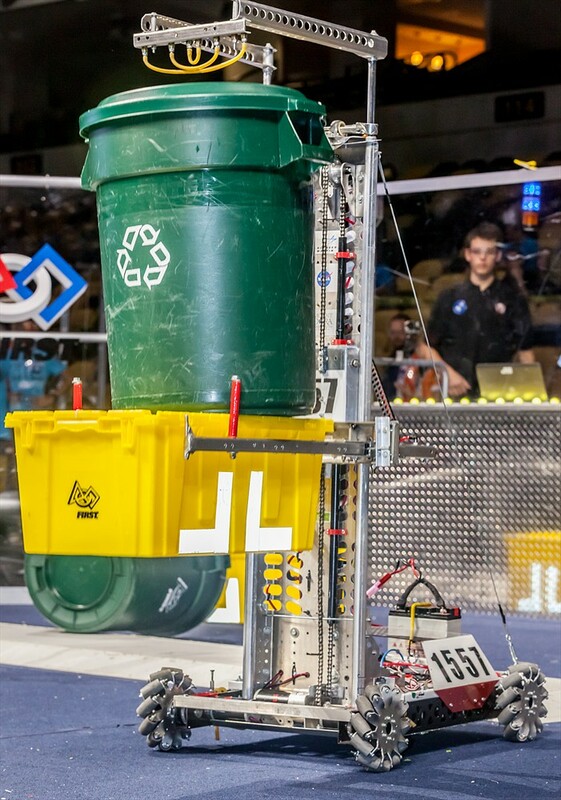 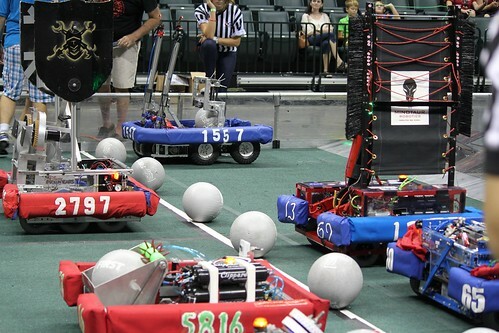 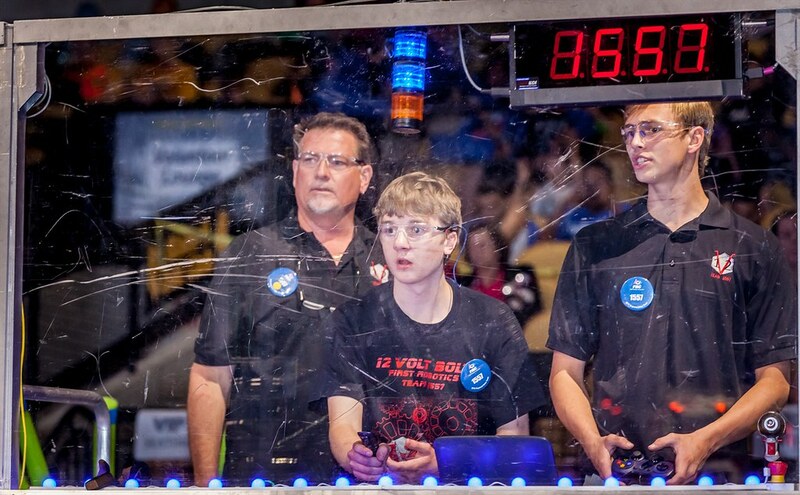 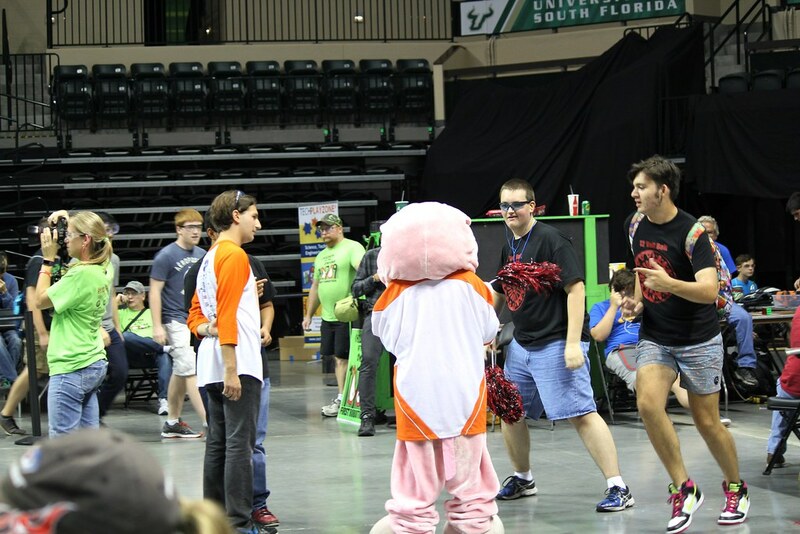 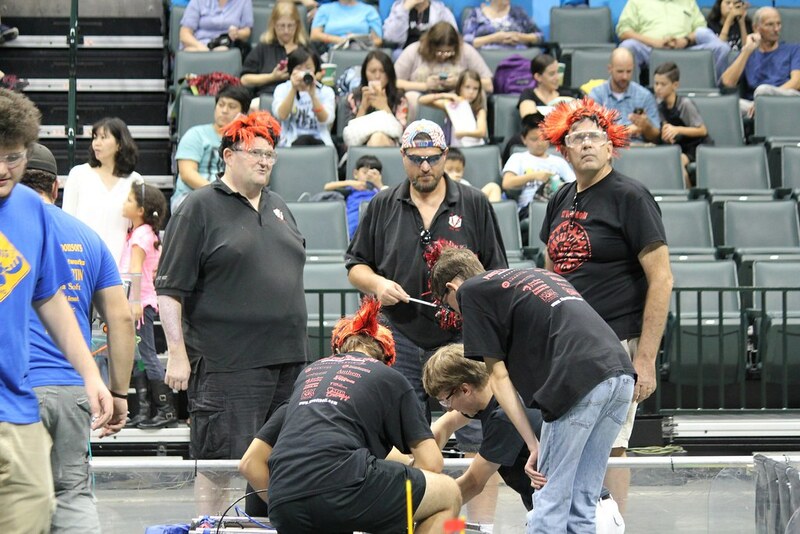 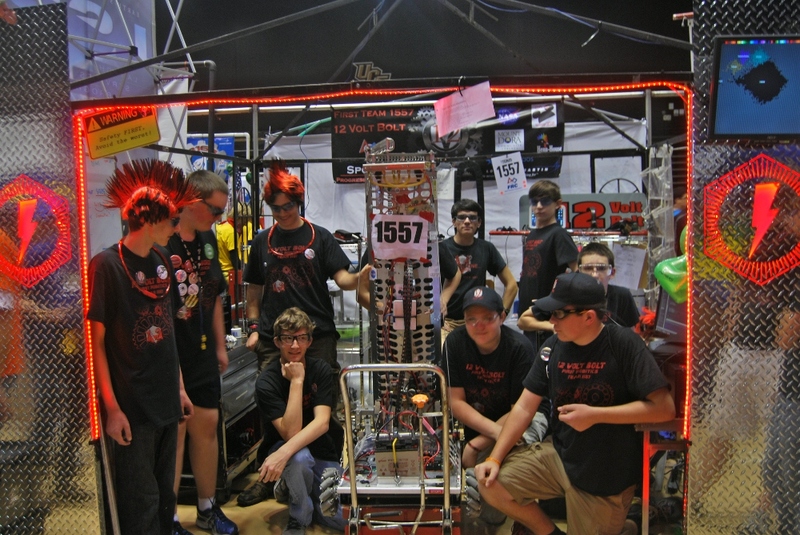 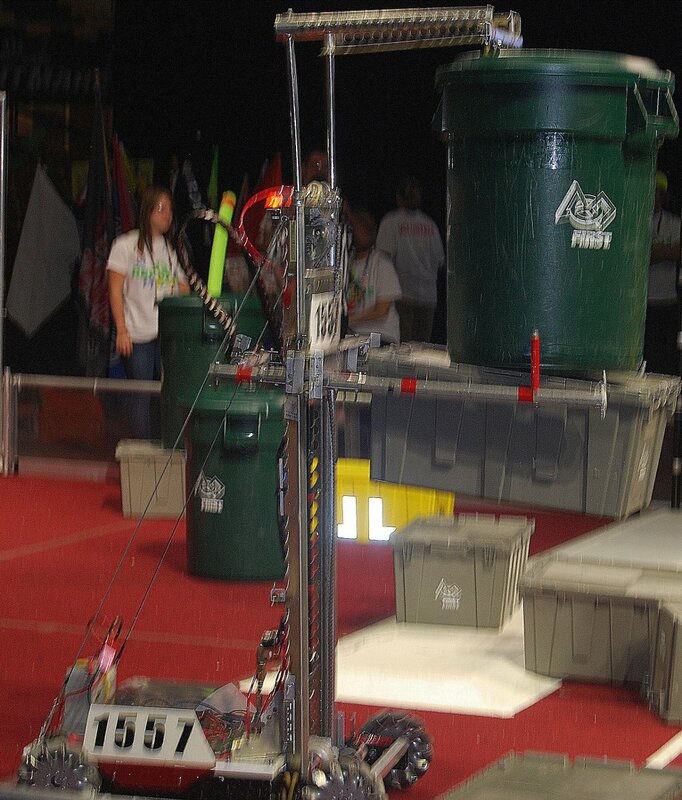 FIRST® Robotics Team 1557 – 12 Volt Bolt is an all-inclusive, high school aged, robotics team located at 211 N. Grove Street in downtown Eustis, Florida. Our members come from all over Lake and Sumter Counties. 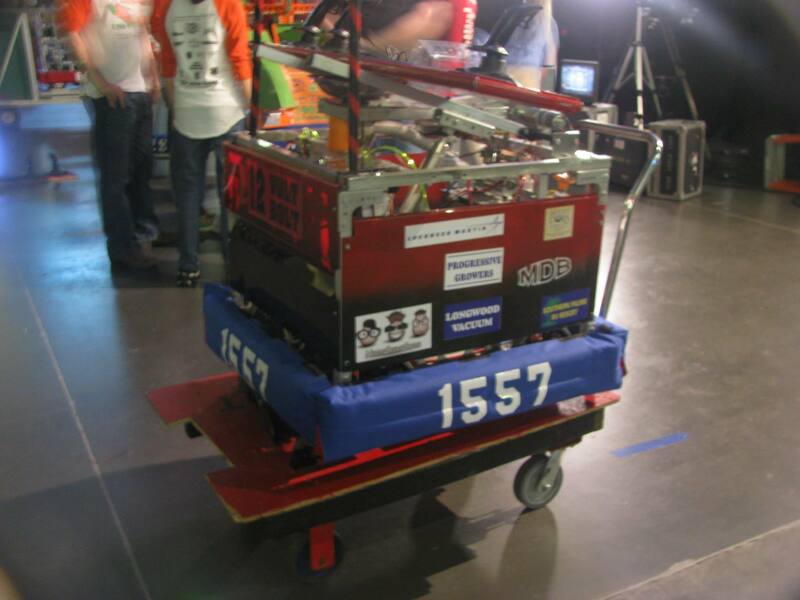 We have been an FRC team since 2004. 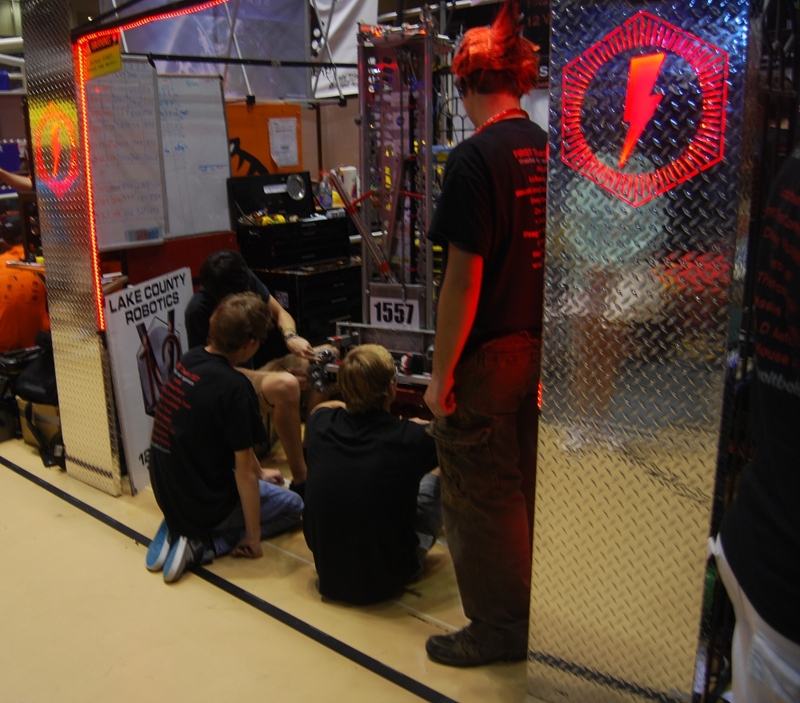 12 Volt Bolt is made up of several sub-teams, including mechanical, electrical, programming, website management, public relations, and community outreach. 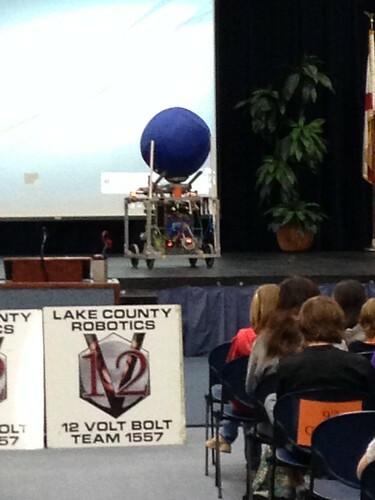 Thank you PowerGrid Engineering! 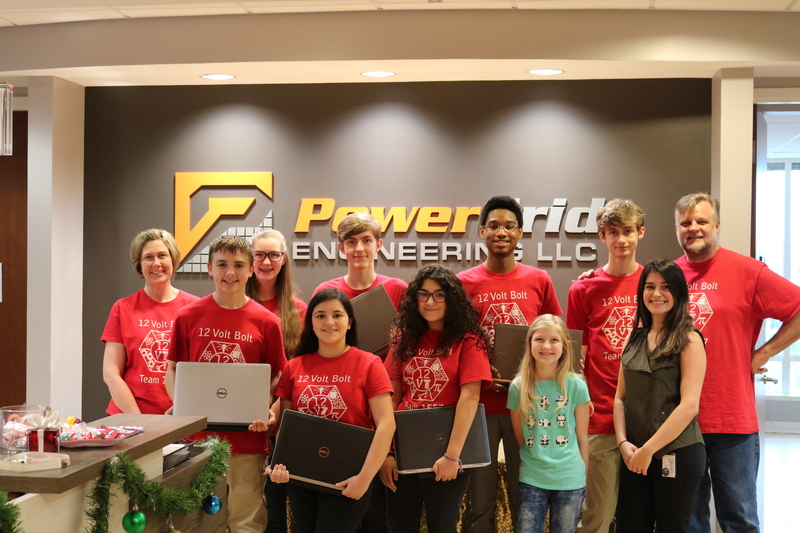 We love the Dell notebooks. 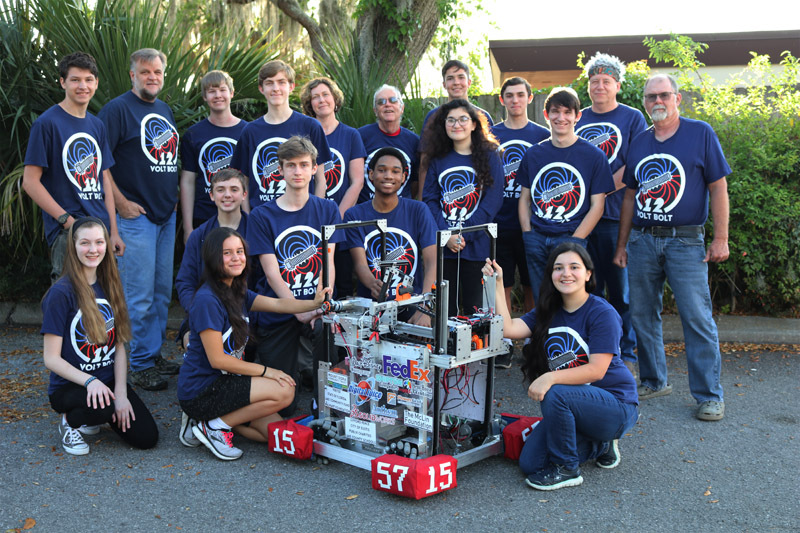 FRC Robotics Team 1557 (12 Volt Bolt) invites you to visit our Clubhouse at 211 N. Grove Street in Eustis on Tuesdays between 6 and 9pm. 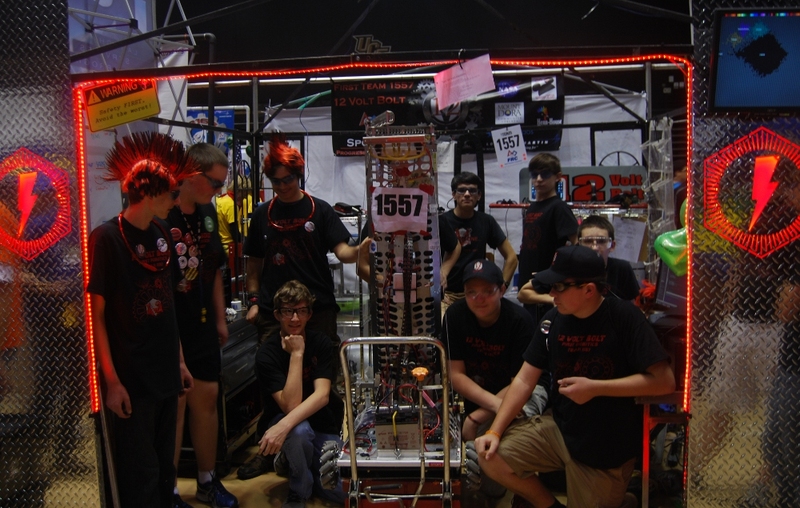 Those interested in joining the team will have an opportunity to talk with team members and mentors and see how the team works. Building robots is only one aspect of what the team has to offer since FIRST® Robotics provides hands-on experience in graphic arts, public relations, web design, computer programming, team spirit, marketing, and mechanical and electrical engineering. 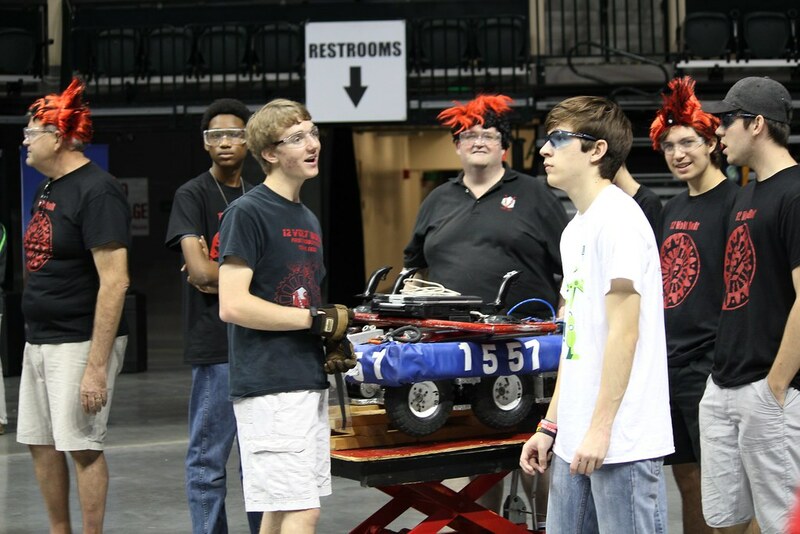 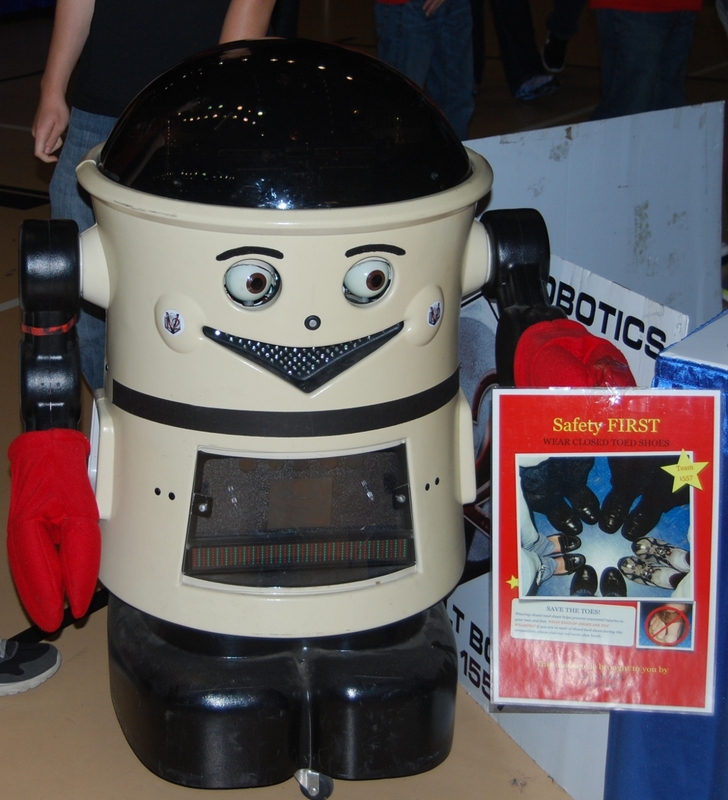 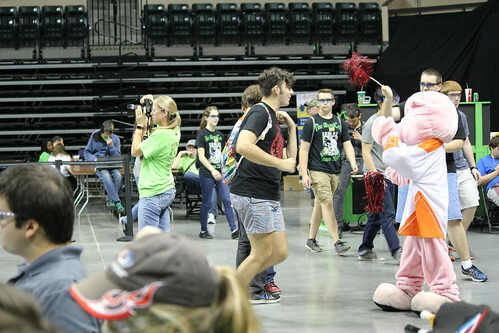 There is something for everyone on our robotics team! FIRST Robotics Team 1557 is an all-inclusive organization made up of students and mentors from Lake County (and beyond). 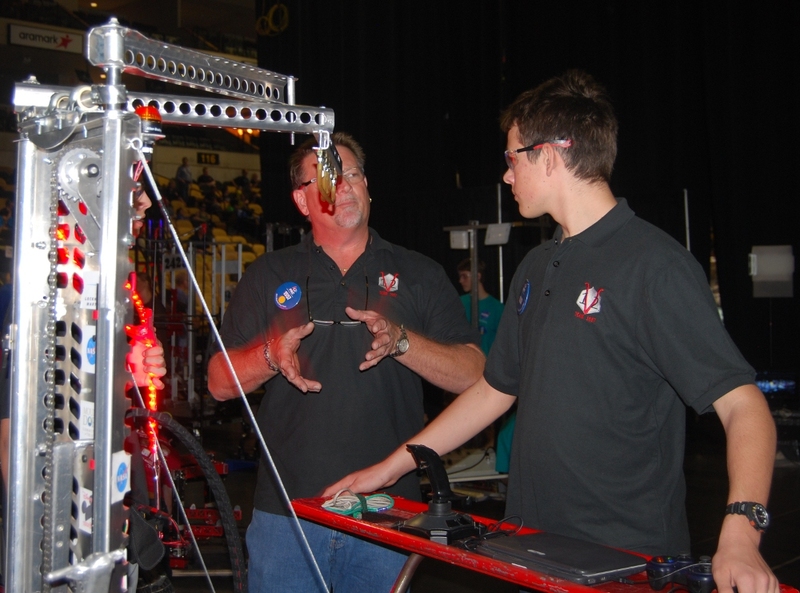 We promote science and technology while developing vital life, career, and leadership skills. 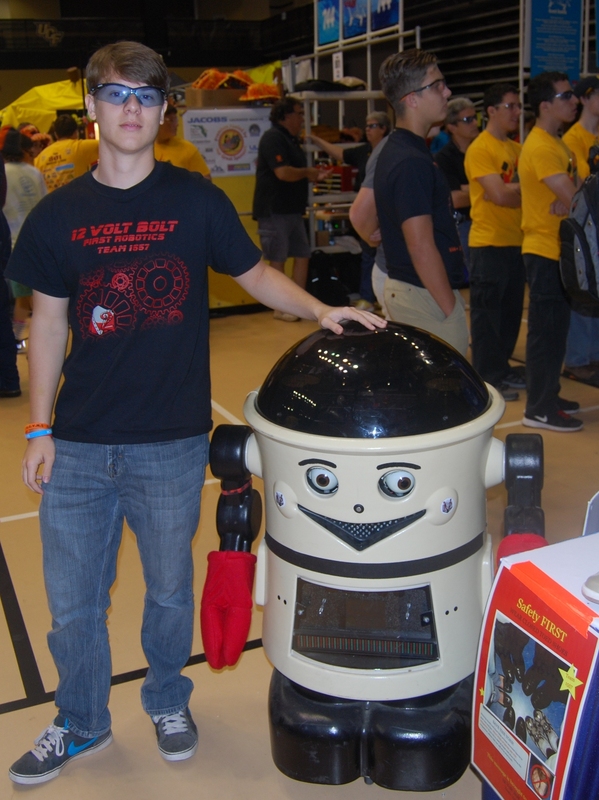 We not only build robots, but also relationships. 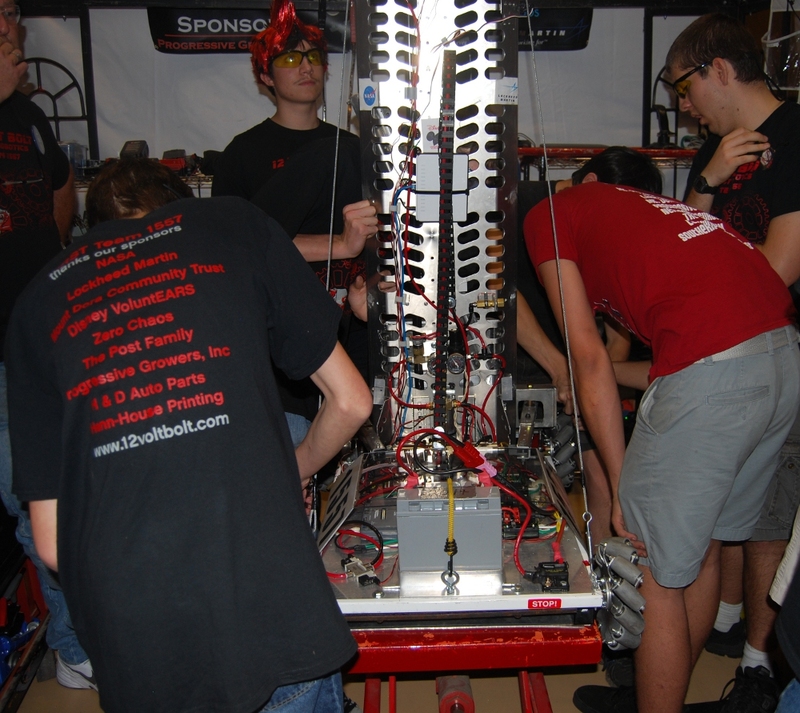 We spread FIRST’s vision throughout our community, and we ensure a stronger foundation for the future.